It’s been an eventful summer for Pisco Trail — from road trips and Wild West Whisky adventures in Leadville, to a Peruvian Independence Day dinner in New Orleans, and my first live TV cooking demo, I am finally back in San Francisco after spending two weeks rediscovering my Love for Lima, Peru. 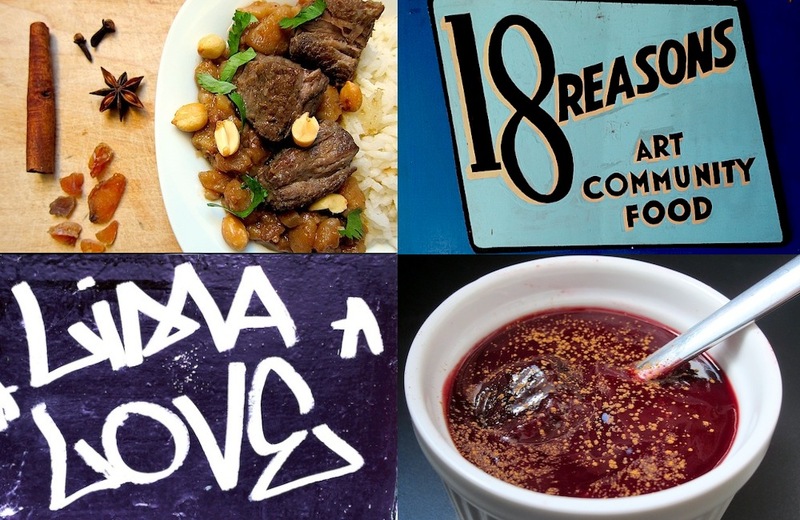 Which means it’s time for another Peruvian Pop-up Dinner at 18 Reasons! Join me for A Night in Lima at 18 Reasons, an intimate seated dinner for 20 people on October 30 at 7 PM, where I will be serving two courses: Carapulcra, a very traditional papa seca stew with heritage pork and Mazamorra Morada, a sweet purple corn pudding. Throughout the evening I will be talking about the history of these dishes, while a background slide-show presents photographs from my recent trip to Peru. And of course a criollo dinner would not be complete without some Afro-Peruvian tunes playing on the radio. It’s great to be back in SF, and I am really looking forward to cooking for you again 18 Reasons!